Bright red bootees with girly details. Lace up a pair of our Jacky traditional bootees, and take a bold step into festival season. 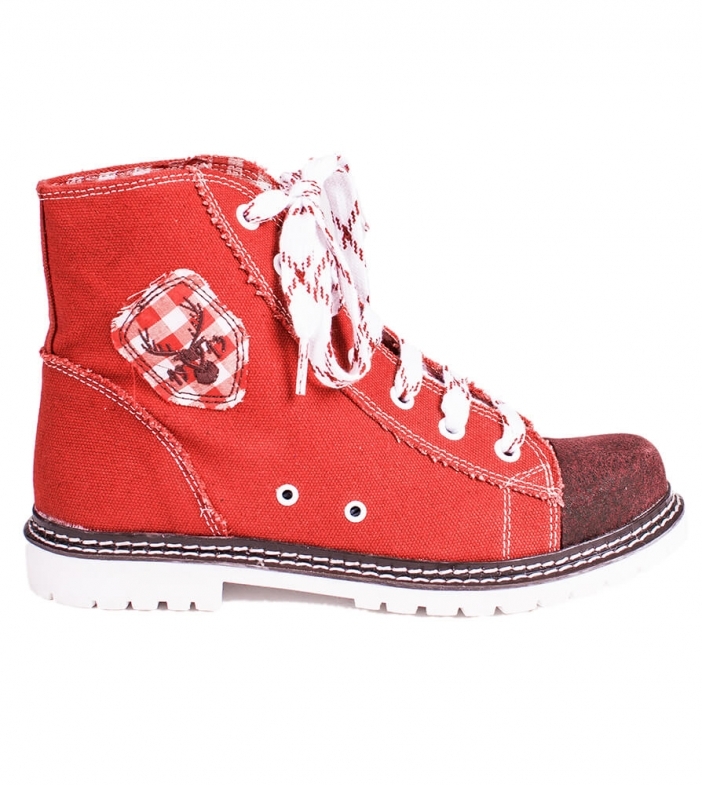 These bright red canvas bootees with gingham trim and printed shoelaces add authenticity to Oktoberfest costumes, and they deliver a punch of fun to everyday outfits. Schuhe waren mir leider zu klein, deshalb habe ich sie nicht behalten.